China says it respects the principles of freedom of navigation and overflight, but “opposes” when other states undermine its sovereignty using this pretext. The statement comes after a US aircraft carrier group began patrols in disputed South China Sea waters. "China always respects the freedom of navigation and overflight all countries enjoy under international law," Chinese Foreign Ministry spokesman Geng Shuang said at a daily news briefing on Monday, as cited by Reuters. "But we are consistently opposed to relevant countries threatening and damaging the sovereignty and security of littoral countries under the flag of freedom of navigation and overflight. We hope relevant countries can do more to safeguard regional peace and stability," the spokesman said. The statement was China's first official comment on the latest US patrol mission. 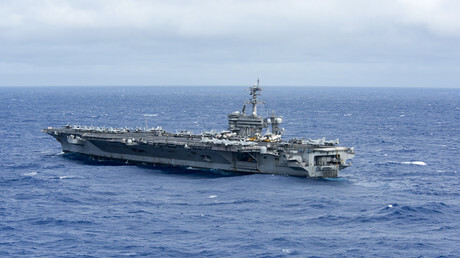 The US Navy made the announcement on its website last Saturday, stating that the strike group, including Nimitz-class aircraft carrier ‘USS Carl Vinson’, together with aircraft from the ‘Carrier Air Wing (CVW) 2’, and the Arleigh Burke-class guided-missile destroyer ‘USS Wayne E. Meyer’ started “routine operations” in the South China Sea. The US last conducted a similar freedom of navigation operation in the area in October, when it sailed the guided-missile destroyer ‘USS Decatur’ near the Paracel Islands, which are under Chinese control. 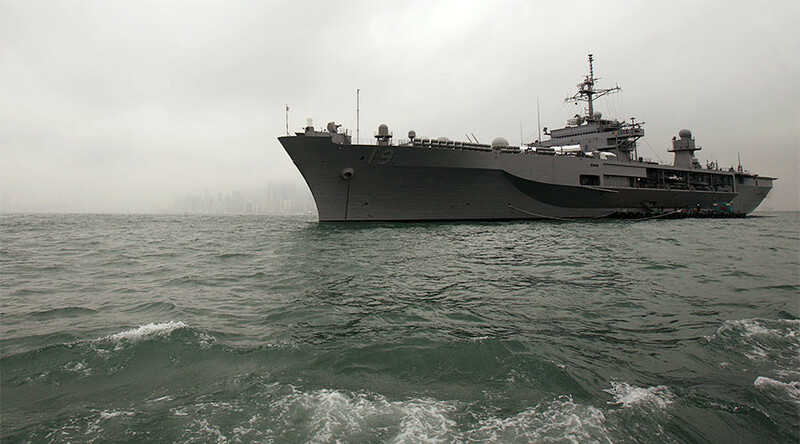 China slammed the October operation as “illegal” and “provocative,” but US officials denied wrongdoing, stating that America was exercising its right to sail through international waters. Beijing has laid claim to nearly all of the resource-rich South China Sea, through which some $5 trillion worth of trade passes each year. Yet Brunei, Malaysia, the Philippines, Taiwan and Vietnam also claim parts of the waterway, which have abundant fishing grounds as well as oil and gas deposits. The Spratly Islands, or Spratlys, comprising more than 750 islets, atolls, and reefs, have also been caught up in the multinational dispute, with the claimants having their own national names for the archipelago. The United States has repeatedly criticized China's construction of man-made islands in the Spratly chain as well as the latter’s buildup of military facilities on these islets, voicing concern they could be used to restrict free movement in the area. China has brushed off the criticism, however. Relations between the two countries were not eased after Donald Trump’s inauguration as president, with both Trump and James Mattis, the new US secretary of defense, vowing to protect main regional ally Japan in any territorial disputes it has with China in the nearby East China Sea.